I read this article and found it very interesting, thought it might be something for you. 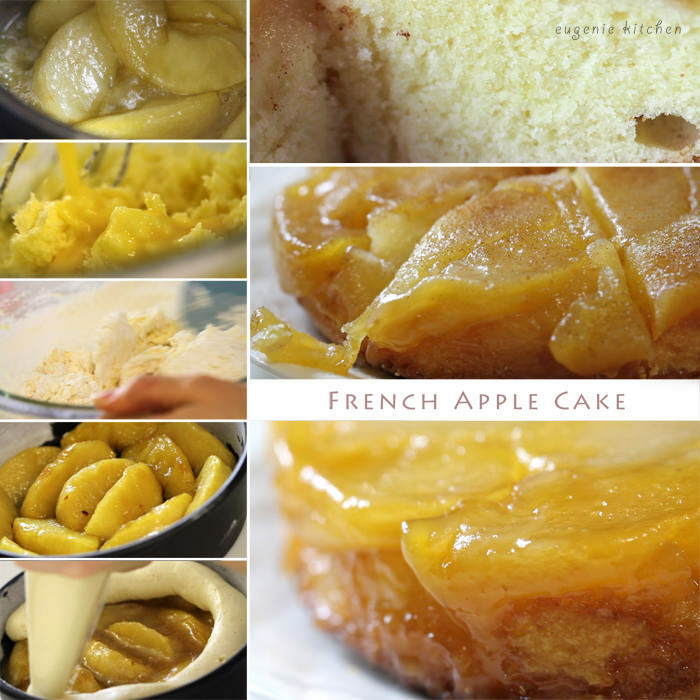 The article is called French Apple Upside-Down Pound Cake Recipe and is located at http://eugeniekitchen.com/french-upside-down-apple-cake-recipe-quatre-quarts-aux-pommes-pound-cake/. 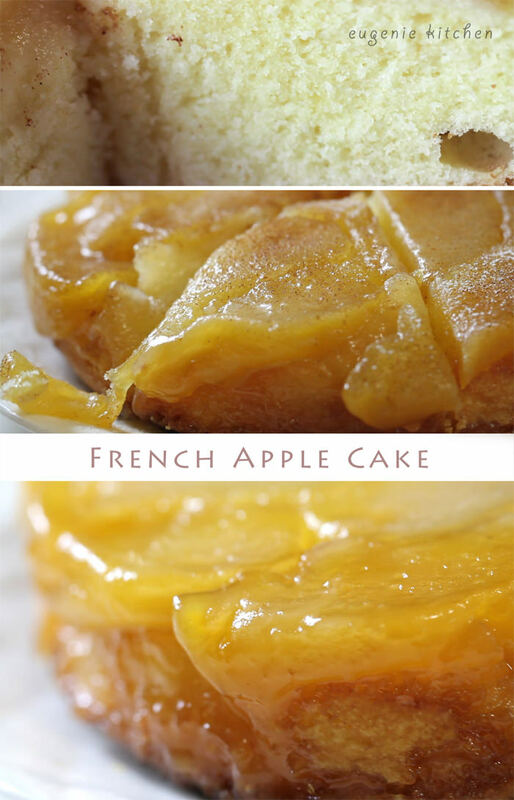 Today I am going to make French apple cake, quatre-quarts aux pomme. Quatre-quarts means four quarters: a quarter four, a quarter sugar, a quarter butter, and a quarter eggs. 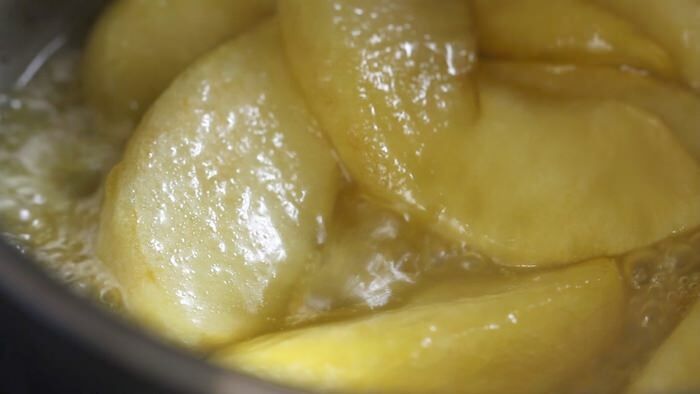 First I will make caramelized apples, and then I will add in quatre quarts batter. It is very easy to make and it’s delicious. Grease the pan. Coat the pans with flour. And get rid of excess flour by tapping on the paper. Save the flour for the future. And set aside. With vegetable peeler, peel the apples and slice into small wedges. And core apples. Over medium heat, add the butter in a large skillet. And melt the butter. Then add in sugar. Stir until sugar dissolves and mixture is bubbly. Now add apples. 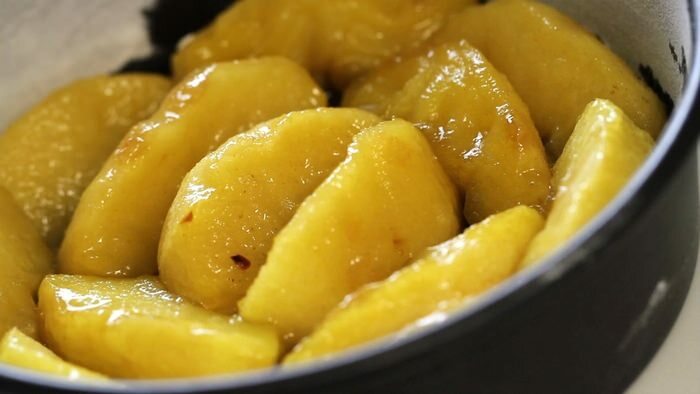 Sauté the apples, stirring frequently, until sugar is caramelized a little and the apples are tender. When it’s done, a wooden stick should be pushed comfortably. Transfer into a tray and let cool. 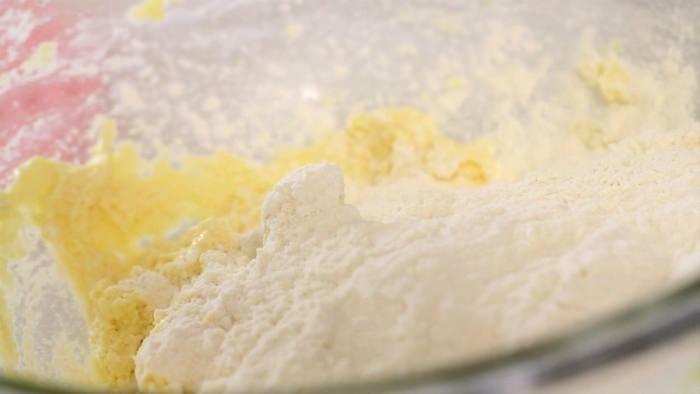 In a mixing bowl, cream the butter. Today I will do it by hand. Add in the sugar gradually. 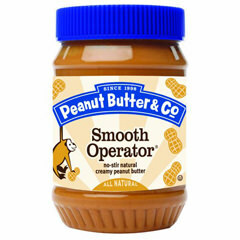 Continue beating until smooth. In another bowl, break in the eggs and beat for 1 minute. 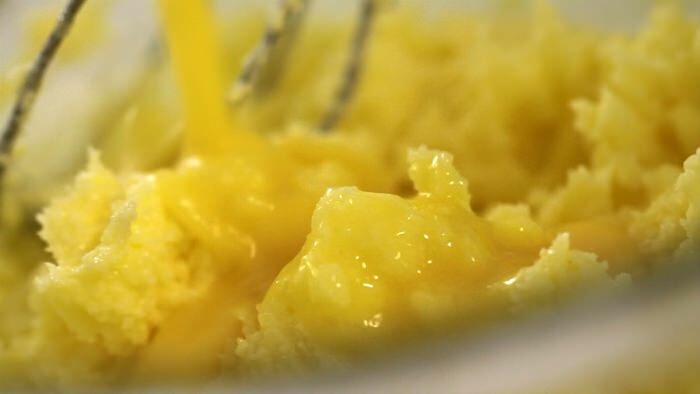 Add the egg mixture into the batter little by little, beating after each addition. Whisk until well blended. This is “emulsion”. Add in the milk and stir until combined. Sift cake flour, salt, and baking powder. And mix well. Add the dry ingredients into the batter all at once. And fold until homogeneous. Once cooled, arrange the apples on the bottom of the pan. And pour the left-over apple sauce over the top. 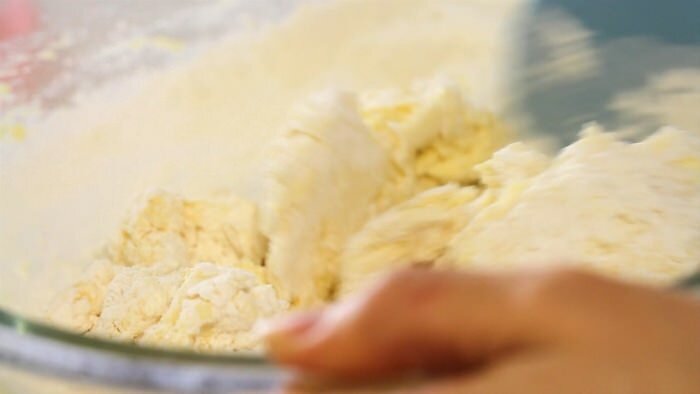 As for filling, a pastry bag is recommended because the batter is quite thick. 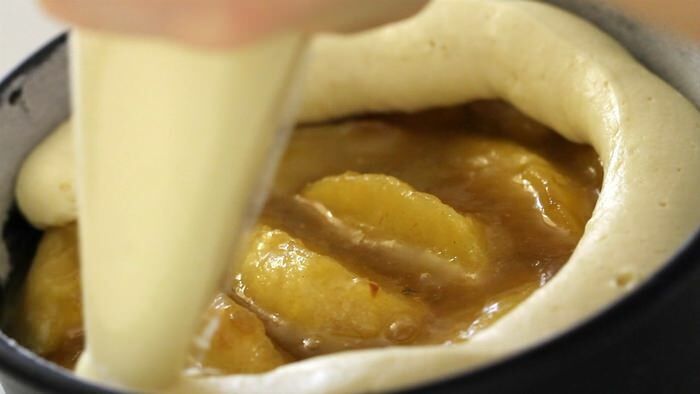 Pipe in the batter over the apples. If you don’t have a pastry bag, use a spoon. Today I am making cakes with one medium size pans (6 inches in diameter & 2 inches deep; 15.5 cm in diameter & 5 cm deep) and two muffin pans. And tap a little. Bake at 410 degrees F (210 C) for about 40 minutes. 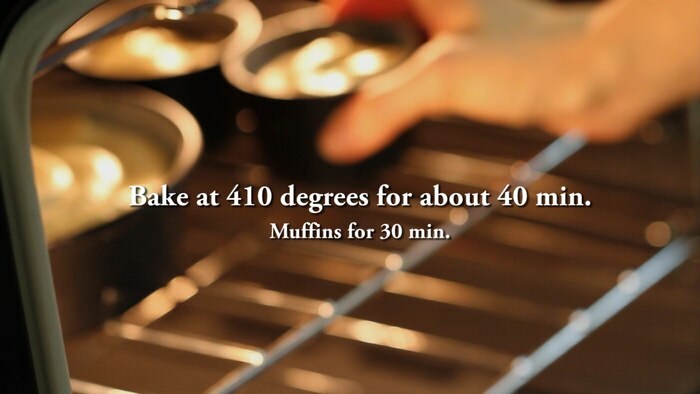 30 minutes for muffins. Muffins come out first. Then cake. A toothpick inserted in the center of the cake should come out clean. Let them cool completely on a wire rack. To serve run a knife around the edgy of pan, and turn out onto a plate. Voila! Dust with ground cinnamon and confectioners’ sugar. The apple top is soft and luscious with cinnamon flavor, and the pound cake is rich and buttery. It has dense yet tender texture. I made this cake few days ago….and it was so delicious. We ate it a day later with my in-laws. 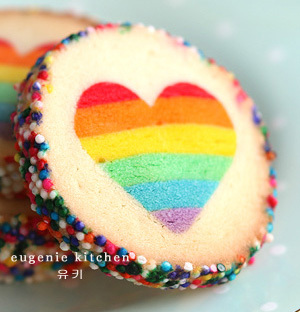 Maybe, that’s the reason it was so moist….Thank you so much Eugenie for sharing with the world your recipe. Hope you have great success in your cooking channel.